This was a fun, challenging race. 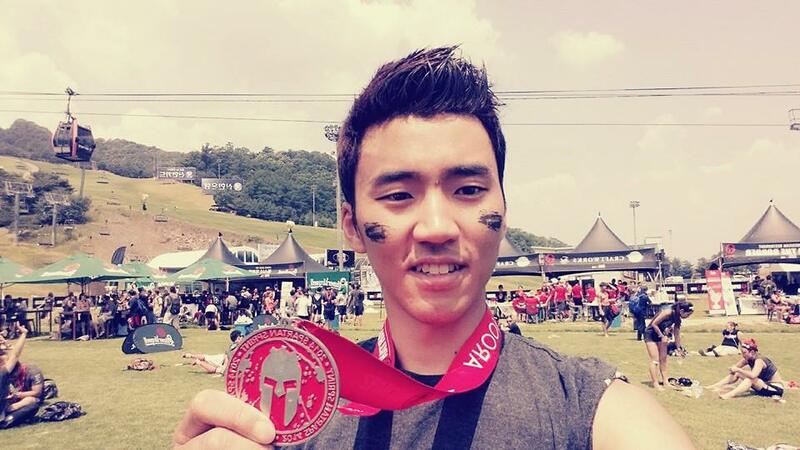 You run for 5km while overcoming about 12 obstacles: flipping tires, carrying a sandbag, jumping over a 2-meter wall, climbing monkey bars, throwing spears, etc. If you fail any of them, you have to do 30 burpees to move on. Since the race was held at a ski resort, the worst part was climbing up and down the ski courses. That gave me a chronic leg cramp. But overall, it was a fun race. I would definitely go for it again when I have the chance.